Friday food is a weekly article about one of the more unusual food items to be found in Liuzhou that week. This week, we are choked in Chinese. 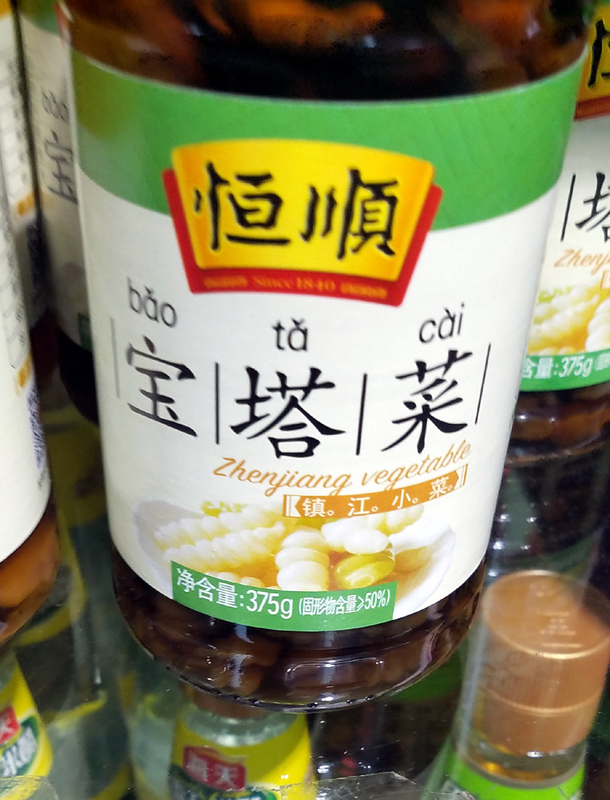 宝塔菜, literally ‘pagoda vegetable’, also know as Chinese artichoke, Japanese artichoke, crosne, knotroot, and artichoke betony is the rhizome of the plant Stachys affinis and is eaten as a root vegetable. 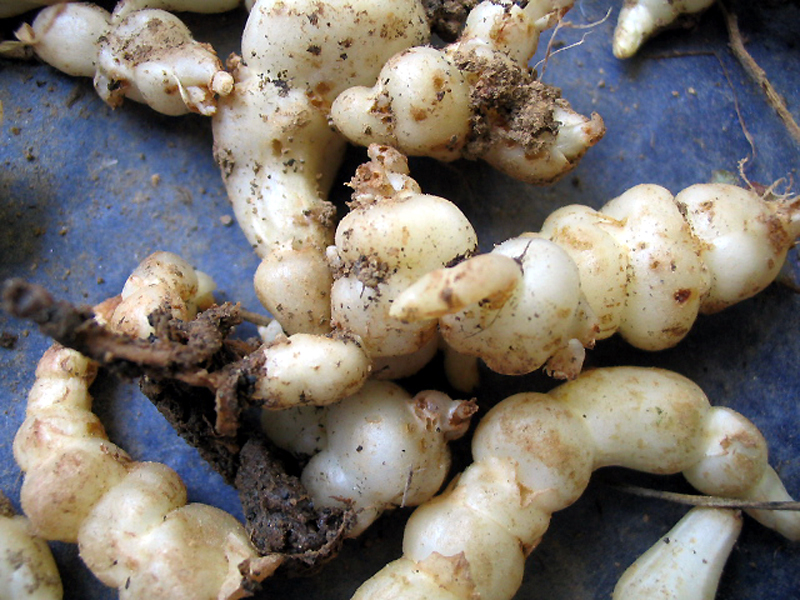 The small tubers are notoriously knobbly and difficult to clean so it is rare to see these in the local markets. However, they are industrially pickled and sold in jars. This lot costs ¥8.50 for 375g. The taste is delicate, but refreshing.
. This entry was posted on Friday, August 24th, 2018 at 7:00 am	and is filed under Friday Food. You can follow any responses to this entry through the RSS 2.0 feed. Both comments and pings are currently closed.